Vaidya. 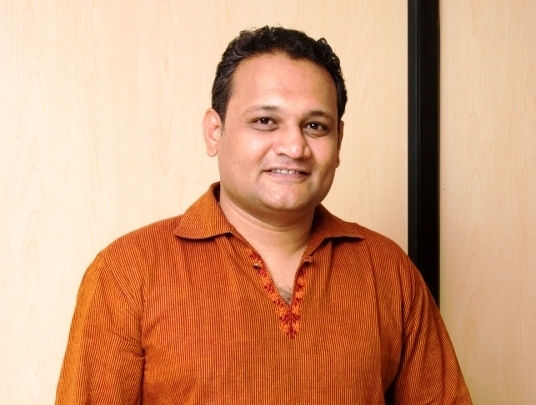 (Dr) Abhijit Jinde is a practicing Ayurveda Physician in Pune city in a private Panchakarma clinic, "Sukhayu Ayurveda". He has been passionate about Ayurveda and delivering best of authentic Ayurveda since more than a decade. He did his graduation Ayurvedacharya (B.A.M.S) degree from University of Pune and post-graduation Ayurveda Vachaspati (M.D-Kayachikitsa) from one of the oldest Ayurvedic college of India from Utkal University. Born in a family with strong Allopathic environment where every health issue was thought to be taken care of by pills and there is no relation between food and good health or ill health. His father being an renowned Allopathic Pediatrician and general physician who is till date delivering to the society what is best in Allopathic medicine. His precision in table diagnosis, knowledge and wisdom was the prime reason which influenced Vd. Abhijit to take medicine as his profession. At one point of time when Vd. Abhijit was convinced to continue his father's more than a two decades settled practice in Pune city, he had a very strong inclination and love towards natural traditional Indian sciences like Yoga, Vastu and healing methods and hence he decided to learn and practice Ayurveda. In his graduation years were he used to go as an observer in his father's hospital witnessed the great diagnosis skills of his father and patient’s appreciation for his father, for his perfect diagnosis and treatment skills. But what took him by surprise was the repeated visits of the patients for the same health issues or related to the same system. This raised the question in his mind about the incompleteness of Allopathy medicine science and the approach of the society as a whole towards health and medicine. He closely witnessed both the positive and the negative aspects of modern medicine which has become the main stream health system in India since the ruling of British for more than a century. After immersing in the wisdom of Ayurveda and the fathom of knowledge of Indian health systems and allied systems like Yoga, Astrology, Spirituality, Vastu shastra etc. he was completely convinced that no any single medicine system alone is capable enough to deliver prevention and cure for all the diseases afflicting the humanity in this Modern life. There has to be the best suitable health science delivery system in which appropriate system of medicine is delivered at the right stage of disease and for the right purpose. He totally believes that the future of health system will be an Integration of best of all healthsystems. His spiritual journey and sadhana with blessings of Swami Makarandnath had made his healing path very joyful and blissful. He gives prime importance to prevention of diseases and maintaining optimum health status by following proper diet and lifestyle regime along with periodical detoxification or cleansing. He has been working on clients not considering them only as a combination of tissues, but also tries to go deeper and connect to their soul and mind and help to reach the root cause of sorrow and unhappiness. He personally believes in enjoying the pleasures of life and for that, as Ayurveda has stated, one should have good physical health, good intentions in Mind and happiness in the soul. This art is what he wishes to teach to all his clients.